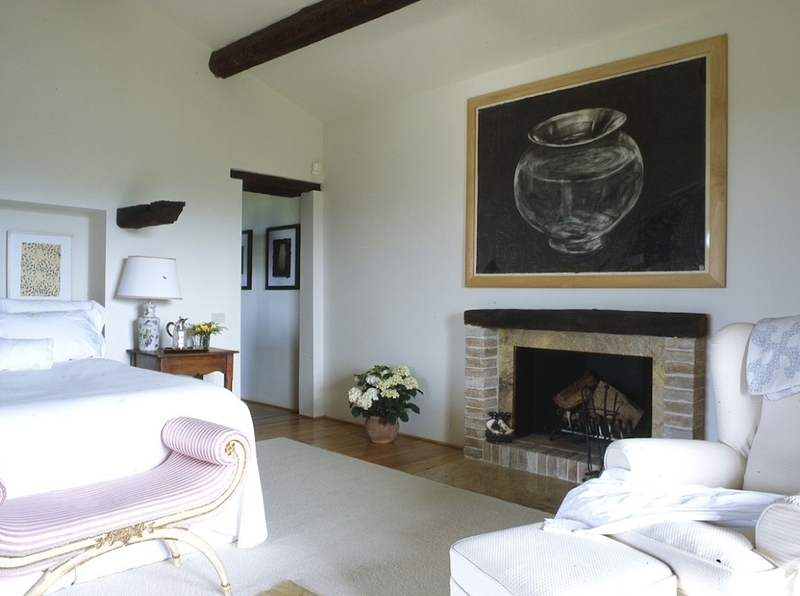 Set atop the rolling hills of Umbria, Podere Calzone is an 18th century country estate that has maintained its old-world charm while incorporating all the conveniences and indulgences of the 21st century, including WiFi, air conditioning and American appliances. The house contains original stone arches, 18th century marble sinks, original beams of the second floor fireplaces and the addition of 18th century hand-painted floor tiles - all painstaking details creating an exceptional property for those with discriminating taste. The main house accommodates six in three spacious bedrooms, each with private bath, air conditioning, luxurious linens and ceiling fans. 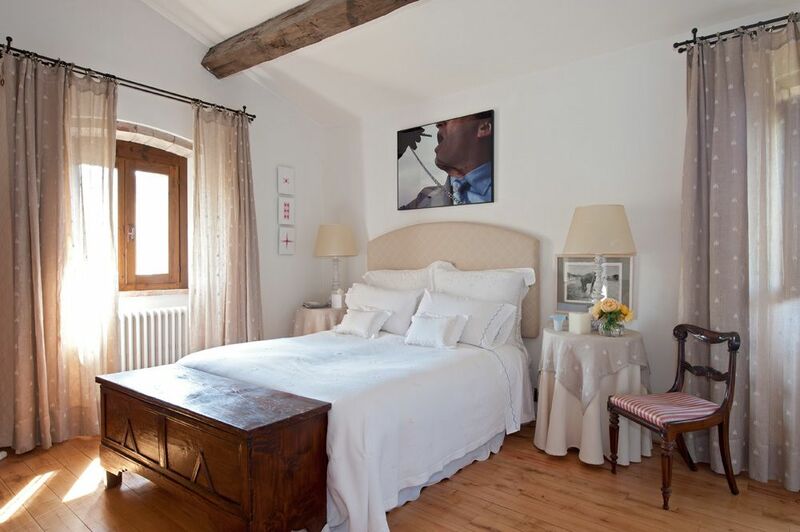 The private guest apartment has two double rooms, separated by an en-suite bathroom. The villa boasts 3 lounge/living areas, a wet bar with icemaker, a dining room with table for 12 and 2 stone terraces for outdoor dining and entertainment. It includes a fully-equipped, gourmet kitchen and an outdoor wood burning pizza oven/grill. 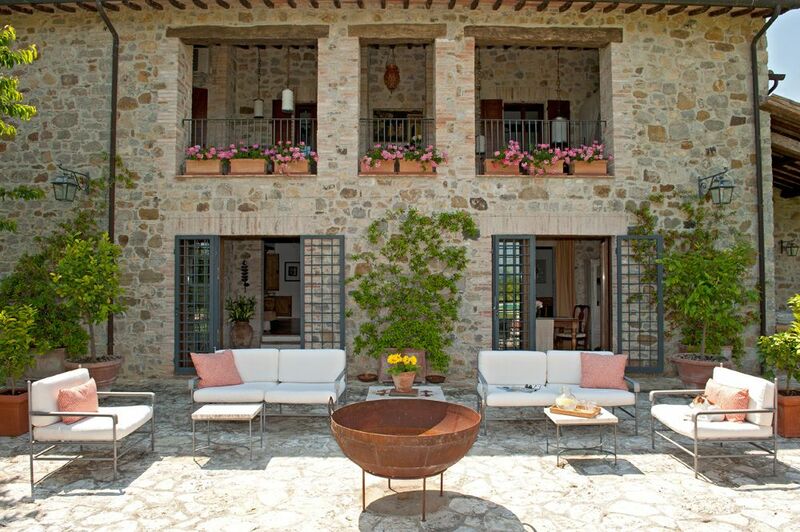 The beautiful stone terraces off the kitchen and breakfast/bar area offer mesmerizing views of the Umbrian countryside. 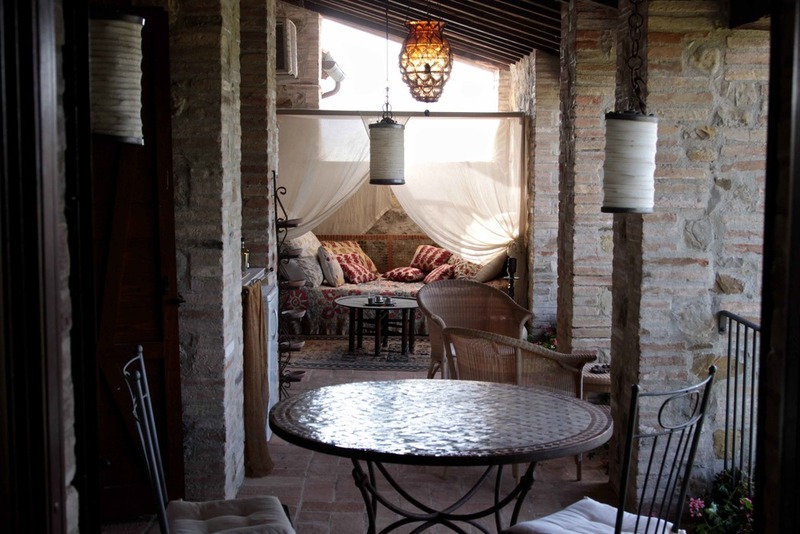 The lounge areas are a great spot for an 'aperativo' while watching the sun set over the hills. The mosaic tiled table accommodates alfresco dining for 10-12. Next to the striking 7m x 18m pool, a shaded bamboo pergola provides magnificent views, shade and space for entertaining up to 50 guests. A wood-burning oven and grill is housed in a separate building at the front of the house. Perfect for traditional Umbrian wood-oven pizza as well as baked dishes and roasts. The wood burning grill attached to the structure offers a stone sink, plenty of work space and a large open grill. The Vineyard Valley Golf Club provides the perfect opportunity to work on your short game. It includes a 250 square meter putting green in the front orchard, and six-to-ten short holes from tees in the vineyard and near the house. The 10-acre vineyard features Merlot and Sangiovese grapes, grown on a sweeping hillside that rises to an elevation of 420 meters. Learn more about our wine here . Our underground cantina stores roughly 4,000 bottles of wine and other fine things that are homemade at Podere Calzone, including Limoncello, Basilcello and Nochino. 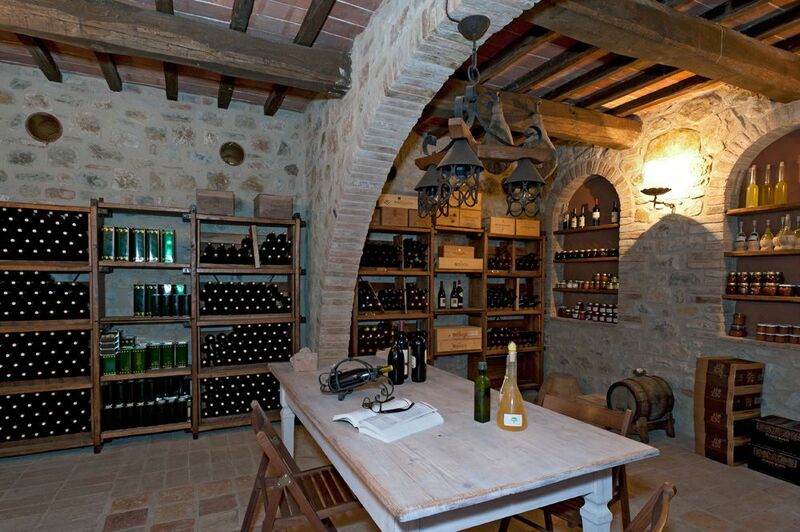 It is also an ideal space for hosting private wine tastings. With its many open spaces, Podere Calzone is built for entertaining. Our on-staff chef, Paola, will help you plan and execute the perfect Umbrian dinner, cocktail party or lunch. The chef will propose a menu with consideration of your preferences, prepare your scheduled meal and will depart after as you relax over drinks and no longer need her services. For nights when you want to enjoy a relaxing night at the villa, our staff will prepare your ready to heat "Soletto" dinner and deliver it to you that day. Interested in trying out the wood-burning pizza oven, but not sure where to start? 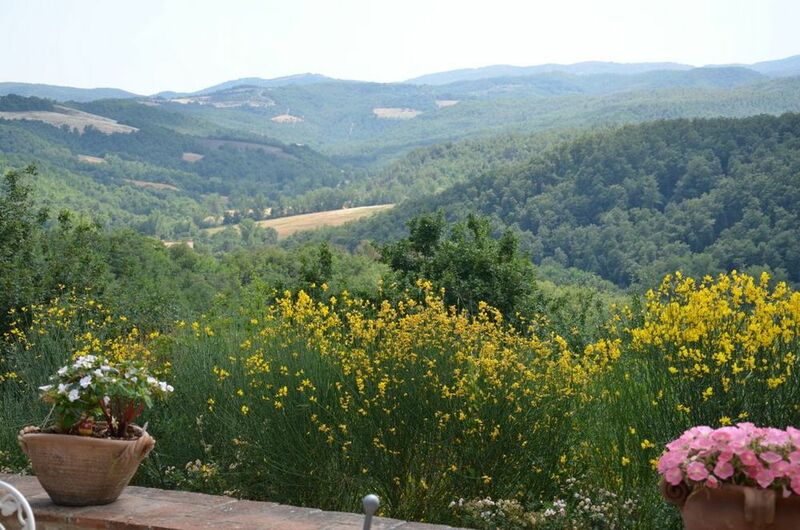 Would you like to learn traditional Umbrian cooking techniques during your stay? Classes are very casual and you are encouraged to learn hands-on or just observe. At the end of the lesson, the experience continues as you enjoy your creation accompanied by local wines. 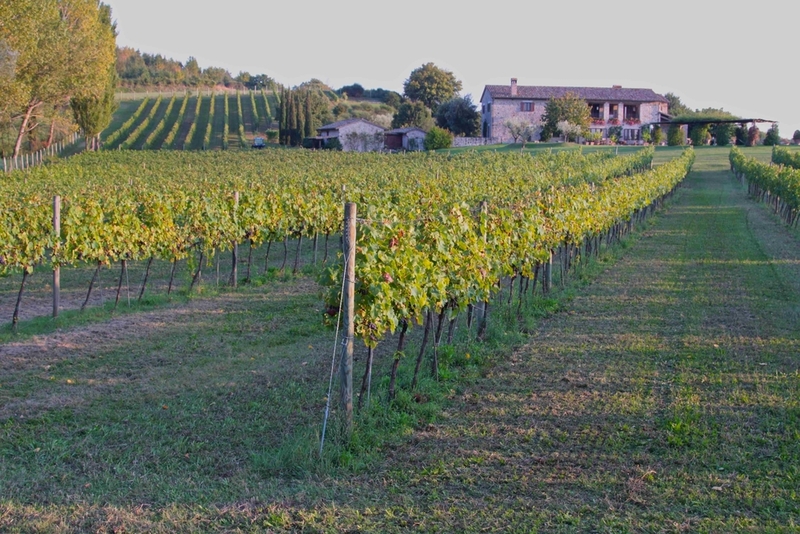 Umbria’s winemaking history can be traced back to the Benedictine monks, who were the first to plant vineyards in the calcareous clay and sandy soil that extends over much of the region. We would be pleased to assist in organized tours for you and your group locally and throughout Italy. Who wouldn't want a 250 square meter putting green in their front yard? Inspired by this thought and the urgent need to work on our short games, we borrowed from #11 at St. Andrews and designed a traditional green and our signature shot from the top of the vineyard. Ten additional shots are played from the grounds and any number of short chips and challenging putts can be practiced.